← Giant Washington VS Kaiju Eyezon ! Christie’s Auction Nov 24th, 2008 !!! 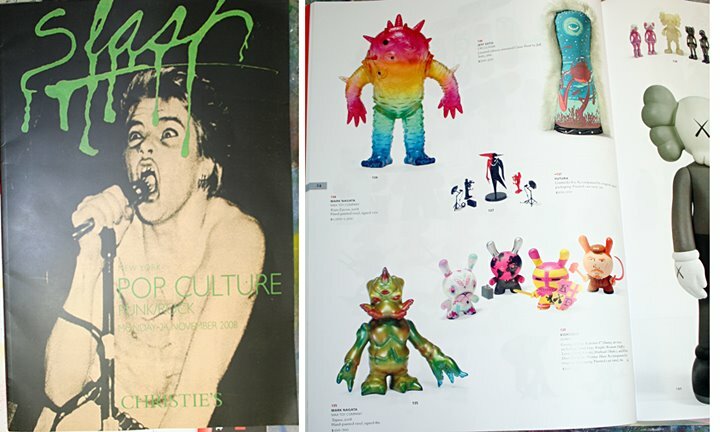 Who’d thunk that I’d be able to auction off custom figures at world famous auction houses in New York and London ?!! I try not to think about it… it’s very strange .. well maybe it’s just that it’s a different venue in which to showcase these awesome toys (and I mean all Kaiju toys not just my own). I remember having a talk with a guy in Japan and he just could not understand why someone would be interested in his custom painted toys .. to them, they always paint their toys, so whats the difference ? 1 or 100 of them .. they are all custom paints .. and to be honest I agree. If it’s done by a human hand than they are indeed slightly different. But I had to argue that if you only painted one of something, and did not make another in that style, well it would be one-of-a-kind and thus is a custom made/painted figure ( in USA terms ). It’s this unique quality that in particular these auctions are about. 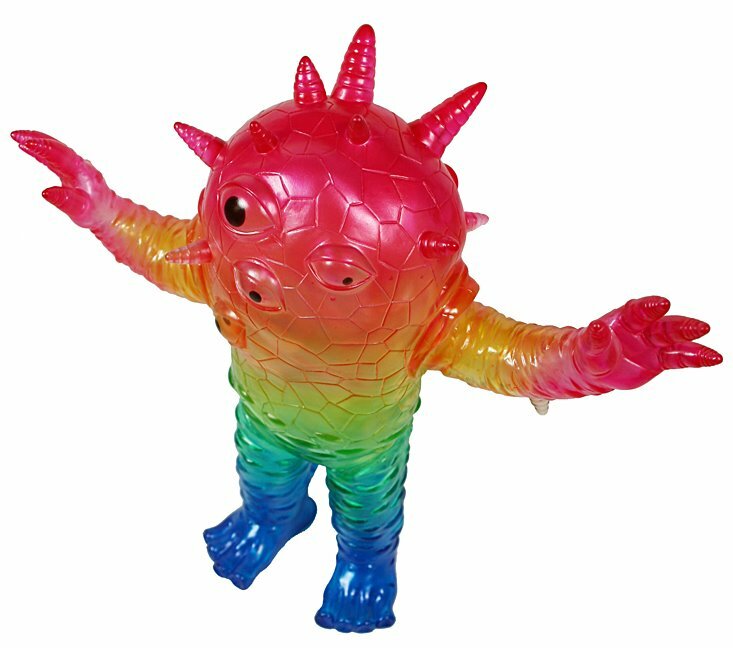 But since these auctions for Kaiju toys has just started, there is no precedent .. so at this point anything goes. Where’s all this going ? I have no idea, but I do have a wish and it’s why I participate in these auctions, and thats to raise the “artist” part of all this to a new level.. give recognition to these guys and what they are doing now, in Japan ,the US and Globally. I do know we are in the middle of what could be termed ” Kaiju Boom 3 ” after the 60-70’s where in Japan their Kaiju Boom was an explosion of Kaiju and Hero shows and merch … but this time Kaiju Boom 3 is on a Global scale and not just in Japan. Also, with many artists being able to make their own toys and not have to go thru a big company, the ability to realize your own toy is now possible. Than you have all the many collaborations and cross overs, and with customs being painted and traded and sold off line, how do those toys fit into the history .. do they count as part of the series of toys ? I pity the historian who will in 50 years try to make sense of all this … ! Since I started making my own toys 3 years ago, I still think of myself as a collector but realize as a toy maker, my views on these questions are now tainted … I have to leave these and other questions to the future authors and historians of this stuff. In any case, here’s a special Rainbow Eyezon and a inner painted with gold, and tinted with colors outside, Tripasu 😉 to be auctioned off in New York at Christie’s auction house November 24th, 2008. The journey continues many plans and projects are in the works for 2009 and beyond were Kaiju is concerned, some i am involved with others I know about.. but in the end I always try to shine a positive light on these artists and toys.